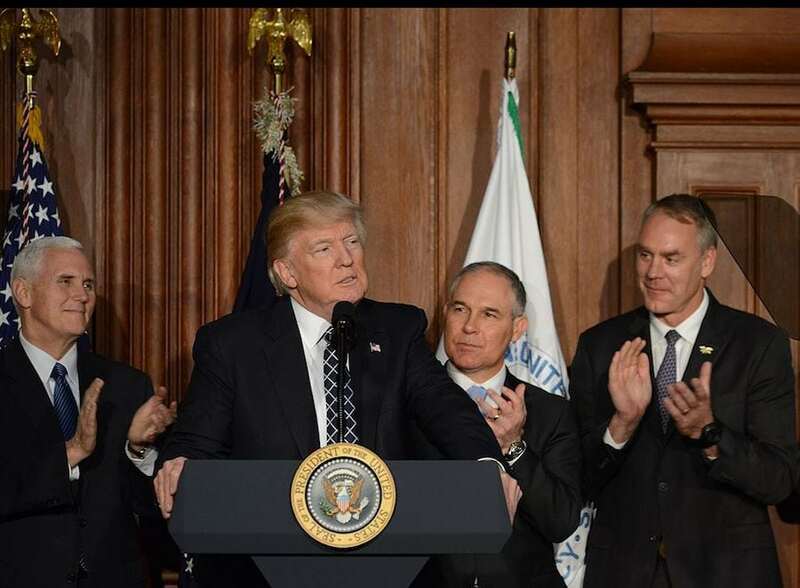 President Trump is no friend to the environment. Months after being in office, he pulled the U.S. out of the Paris climate treaty. He has made it clear he wants more fossil fuels pumped out of the ground, even at the expense of public lands. And he has two cronies to carry out his policies. Those cronies are Ryan Zinke, the Secretary of the Interior, and Scott Pruitt, head of the EPA. If it is up to Zinke, the Land and Water Conservation Fund will be gutted. Created in 1964 through a congressional act, the LWCF protects natural areas and water resources. Zinke’s proposed 2019 Interior Department budget eliminates most funding for the LCWF. If Congress implemented Zinke’s proposal, “ important conservation projects would go unfunded, recreation areas could be lost to subdivisions, trophy homes could be built inside national parks like Zion and Glacier, and funds won’t be available to open up new hunting and fishing access on public lands,” writes Greg Zimmerman, Deputy Director, Center for Western Priorities. Zinke recently announced a proposal to open more than 248,000 acres of national wildlife refuges to hunting and fishing. That includes expanding hunting and fishing at 136 national wildlife refuges. Under the proposal, the U.S. Fish and Wildlife Service would open more new acres to hunting and fishing than ever before. Pruitt had a stellar month of May. He recently threw reporters out, including an Associated Press reporter who was physically accosted, at a summit on pollution in drinking water and waterways. The Federal Advisory Committee Act states that “any committee, board, commission, council, conference, panel, task force, or other similar groups” used by a federal agency “in the interest of obtaining advice or recommendations” for the federal government is required to be open to the public. If you are disgusted while reading this article, there is something you can do. Send tweets to your state’s senators asking them to hold Zinke accountable for cutting funding to public lands, as the Western Values Project urges. While you are at it, tweet to them about Pruitt. And don’t forget to vote for environmentally friendly candidates in the primary and mid-term elections.